If you left a screening Black Panther too hype to contain yourself, you might want to get in on a dance challenge that’s sending waves throughout social media. 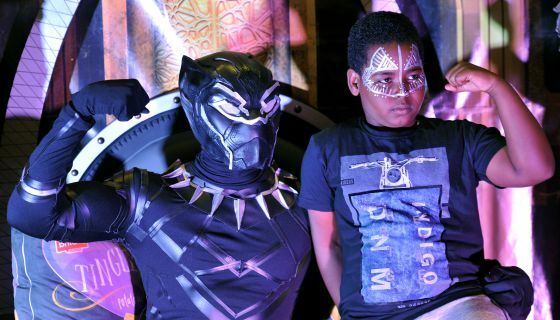 The #BlackPantherChallenge — not to be confused with the #BlackPantherChallenge that’s — started gaining hype when actress Kendra “K.O” Oyesanya posted a dance routine on Instagram. The clip showed her and her crew jamming to the song “Omunye” by Distruction Boyz. In the clip, the dancers make use African-inspired moves such as the Gwara Gwara from South Africa (a dance Rihanna even took on ). Kendra’s clip eventually went viral, raking in over 500,000 views, and it was featured on shows like The Real and Good Morning America. Now, other dancers are following her lead with some amazing videos their own. Swipe through to check out more talented movers celebrate the #BlackPantherChallenge! Many folks are still living f the high Black Panther, and it seems like the excitement won’t die down anytime soon. 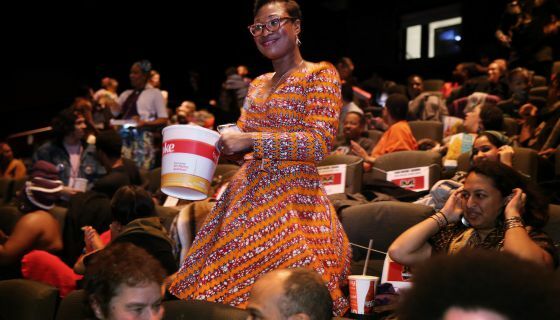 Teachers across the country are already hosting talks with their kids about the themes the movie — whether it be afro-futurism, African history or media representation. Now, Raser and other educators are posting their lessons related to the movie . And course, some fly dress-up is also being added to the mix. If you want more ideas on how to have discussions with the youth, the founder the #BlackPantherChallenge, Frederick Joseph, posted a great resource on Twitter. Check it out below!